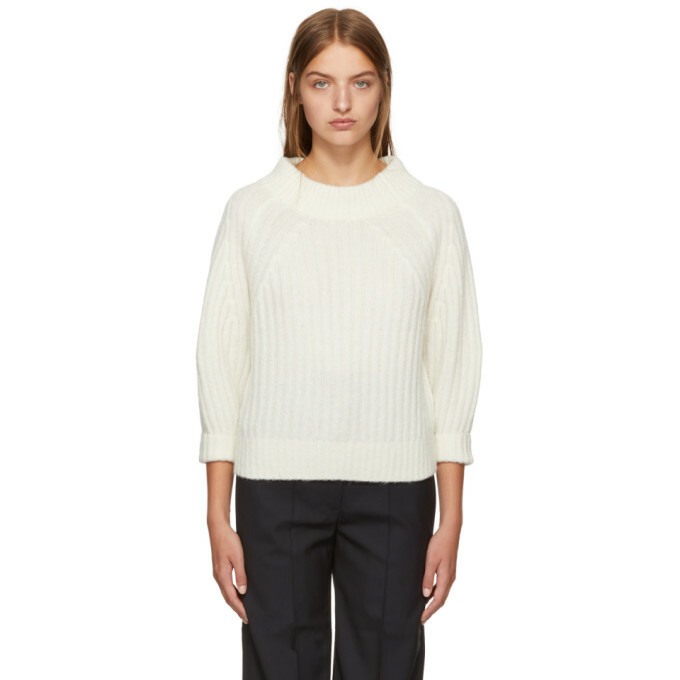 Three quarter sleeve rib knit wool and alpaca blend pullover in white. Crewneck collar. Rolled cuffs. Raglan sleeves. Tonal stitching.